Khaleed Dahee WS (Devine Design X Kore CF) was born June 1, 2011 and Lineal Wrenna, "Renna" was born May 22, 2012 (Devine Design X Elegance CF). Tolkien went to greener pastures on May 2, 2012. We miss her terribly. Hoover has a new home in Mt. Airy. Ally moved last year to her new home. Sundance and Bear have been here for some time but never got recognized on our web site. Shammar is a 1/2 arab, 1/4 QH 1/4 saddlebred fun to ride horse suitable for advanced beginners. Meleia is safe for beginners and has been schooled to level one. DUSKY! is available for lease!! Able to be ridden by anyone!! She has been shown to first level dressage but due to her age, she is retired to Intro. level. She does walk, trot and canter. Safe for any beginner. Mystic is for lease. He is an intermediatehorse. He has been shown at Intro. level. Sommer, a bay mare, is very talented and has been shown at training level, very pretty and suitable for an intermediate rider. Pom-Pom is available for lease. She is a shetland pony!! She has been shown at Intro. level. Oreo is an appaloosa eye catcher at shows, shown Intro level and good for intermediate riders to fine tune their skills. A lease is $200/month, unlimited riding (though the horse may on occasion be used for a lesson) and includes tack, vet and farrier. This is a great way to find out if horse ownership is a commitment you really want to make. It eliminates the question of what to do with the horse if ownership is not for you. 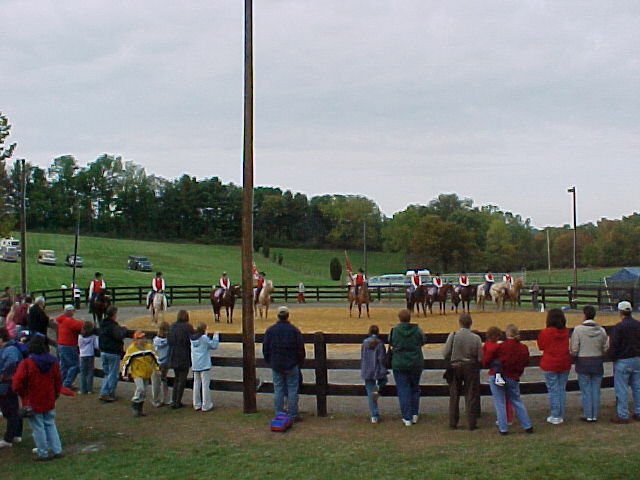 All potential leasors must take one lesson with Sue prior to leasing in order to evaluate compatibility and/or demonstrate their skills, or, to learn how to groom and tack up their horse. We make every effort to fit the rider to the right horse. 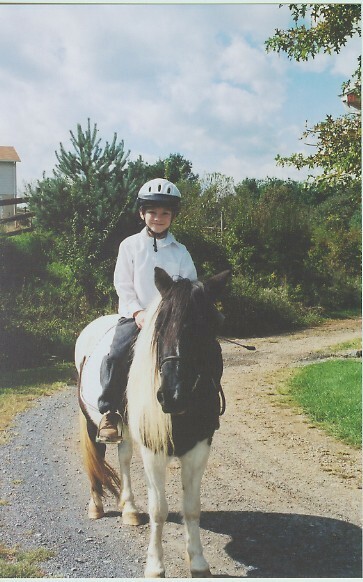 Tolkien, Jim's horse, born and raised here at Windsong, went to greener pastures on May 2, 2012. She would have been 24 yrs. old on the 5th. To greener pastures, Cheers (Pam N.) after a broken leg, 2010, CT Reign after a battle with Melanoma, and Shalimar with arthritis in 2009. September 10. 2003: Amlia, a 100% Davenport, 25 years old grey mare died from West Nile disease (even though vacinated). To greener pastures 2000-2001: Ben, Pops, Lady, Spirit and Mirzonna. 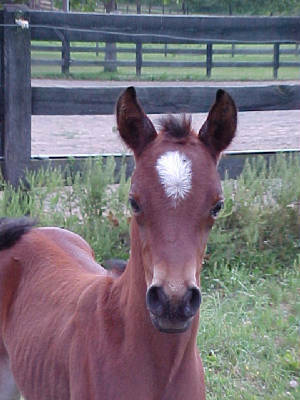 Many of you have just discovered our web site and have been with us leasing, boarding or breeding in the past. You remember Pops, Ben, Lady, Spirit, Mirzonna, and Amlia fondly. Some of you have Spirit , Mirzonna or Amlia "babies". Pops and Ben were buddies to the end.. we couldn't keep Pops going after Ben died. We still miss all of them terribly. Ben, 43 years old, was sent to greener pastures on June 8th, 2001. His best buddy, Pops, followed him on June 20th. My grand daughter Alex, going for a Ride-DA! 19 months old and she loves it!! 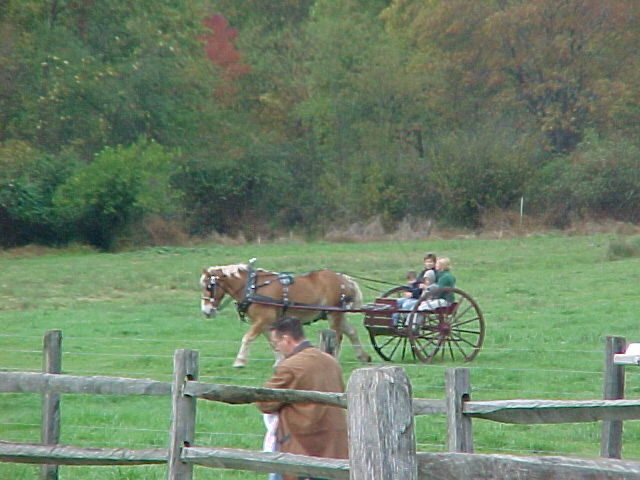 Koor Design WS, AKA "KD"
The Family Festival Farm Tour, October 2002, was a great success. We had 944 visitors to Windsong over the 2 days. We hope everyone had fun participating. It was a tremondous amount of work!! 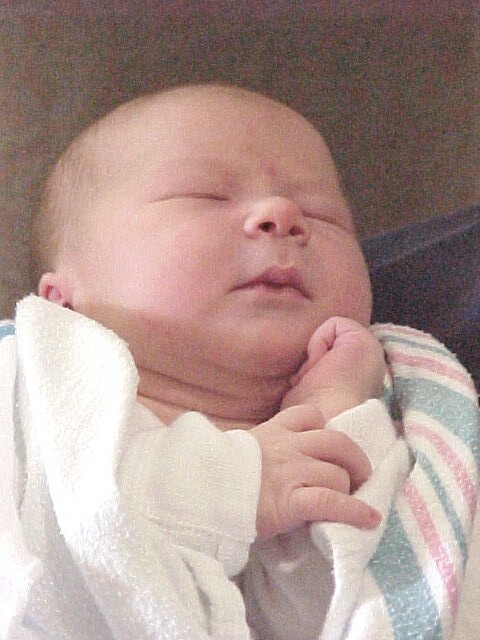 As of August, 2010: Stephen is 5 years old, His sister, Alexandra (Alex) is 8 yrs old. She entered the open class at our schooling show on leadline dressed as a princess and on Tolk, in her Arab costume when she was 4. 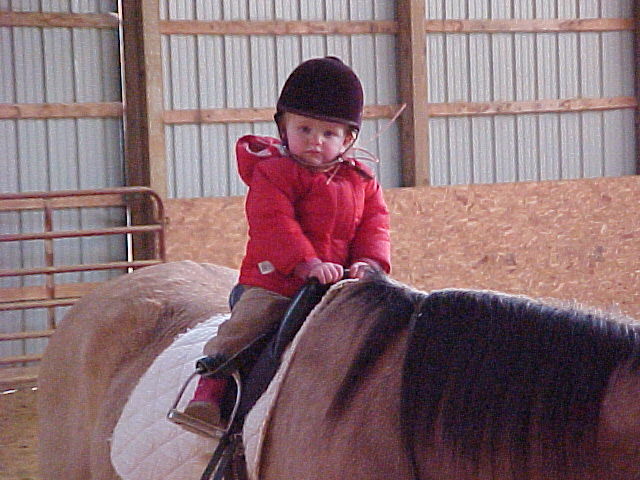 Mike (her Dad) brings her to the farm for her "riding lesson". Jeremy will be 8 years old in Dec. Jeremy's brothers are Colten, 4 and Mason almost 1. For those new to this web site, these are our grandchildren!! Click on Alex's picture to go their own web site! Click pic. to go to Alex's & Jeremy's web site! !